Christmas is enchanting. And the heart of the Christmas Gospel story possesses the captivating magic to endlessly reproduce itself over the centuries in new stories and legends. Creative storyteller Edward Hays, author of numerous books of stories and parables, has once again been enchanted by the power and charm of Christmas and has gifted us with fresh stories for the season. 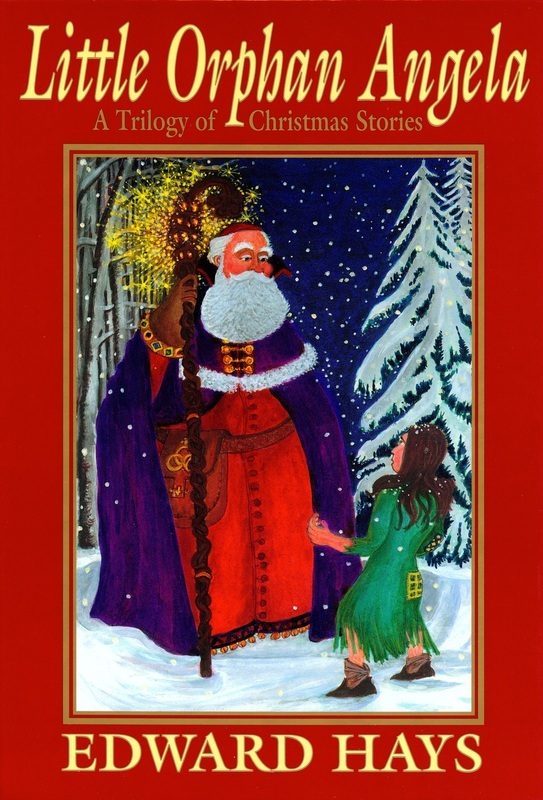 Each of the tales of this trilogy is beautifully illustrated with full-color paintings by the author himself, helping to awaken us to the magic and grace of the Christmas message. Moving and inspiring, these stories for the young and young at heart contain hidden insights into the rich and varied mystery of God enfleshed in our human reality. Little Orphan Angela deals with the power of childlike innocence, "Mikel, Son of the Magi" with the capacity of love to enlighten and "The Carol of the Candles" with what is essential in order to be a light to the world. These stories can be read aloud with the family around the Christmas tree, in classrooms and study groups. It can be used in the pulpit as well as for personal reflection. Strikingly attractive and inviting, Little Orphan Angela makes a welcome coffee-table gift or a Christmas present for staff members that will resurface in their homes each holiday season.